Sciatica pain stems from the sciatic nerve, which is the largest single nerve in your body and is made up of individual nerve roots that branch off from the spinal cord in the lower back. All of these smaller nerve roots combine to form the sciatic nerve, which travels down the lower back through the buttocks and down the back of each leg. Parts of the sciatic nerve branch out in each leg, bringing feeling and function to the different areas of the leg. The symptoms of your specific sciatica condition will vary based on where the nerve is pinched. 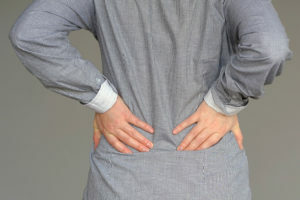 A pain in one side of the lower back, buttock or leg – sciatica very rarely will affect both sides. Sciatica symptoms are generally similar from person to person; however, it can vary in severity as well as in presentation. Even day to day, a person’s symptoms could be different, as sciatica can be relatively infrequent or constant and incapacitating. Try yoga or stretching. Yoga is particularly helpful with flexibility and strengthening for your back. Focus on the piriformis muscle, as it can be of particular benefit for sciatica sufferers. Get up and get moving. Being sedentary for a length of time can cause muscles and ligaments to shorten and cause overall stiffness and pain. Adding more daily movement is highly beneficial for sciatica patients and includes numerous other health benefits as well. Reduce inflammation. Exercising regularly, eating a healthy, balanced diet, getting plenty of sleep, and ending a smoking habit are all excellent ways to lower inflammation that may be adding to sciatic nerve irritation. This may seem surprising to hear, but once you understand the way that the spine works, it actually makes a lot of sense that sciatic nerve irritation could begin somewhere besides the lower back. Your whole spinal column from top to bottom is connected by joints linking each vertebra. It is also composed of soft tissues (muscles, ligaments, and tendons) that travel down the length of your back. Very similar to links in a chain, if one link gets weak or misaligns, it can change the way rest of the chain functions. Let’s relate this to the spine. The most mobile area of your spine is not your lower back, but it is your neck. Particularly, the uppermost vertebra of the spine is the one that supports the head and enables most of the head’s movement. This uniquely designed bone is called the atlas, and due to its free movement, it is particularly susceptible to misaligning. Atlas misalignments often happen because of an injury (car accident, slip or fall, contact sports, etc. ), or from wear and tear over time. This causes a domino effect of compensations in your spinal column, which impacts posture. If the head is out of its normal position, this forces the shoulders and hips to compensate, putting an imbalanced, abnormal pressure on one side of the back. This means that one leg may appear shorter than the other, and to adjust, you may bear your weight unequally from left to right. After looking at the spine in these scenarios, you can more easily see how greatly one area influences another. When sciatica suddenly happens, the usual response is to focus on caring for the lower back using either medications or different therapies. These can give some temporary relief, but unfortunately, they do not treat the underlying problem that is creating all the pain. When your atlas is positioned improperly, it could affect how your lower back feels and functions. With time, this can lead to the onset of sciatica symptoms when left untreated. Correcting misalignments in the atlas addresses the problem that may be behind the symptoms you are challenged with. 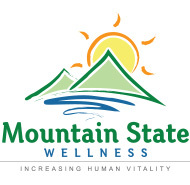 At Mountain State Wellness, we examine our patients’ conditions thoroughly in order to accurately identify whether they have an atlas misalignment that is contributing to their lower back and sciatica problems. When this is the case, we will gently correct the atlas to provide impressive results and lasting relief. A unique characteristic of upper cervical chiropractic adjustments is that they are both extremely precise and very gentle. Each adjustment is specifically tailored towards the individual’s needs. After repositioning the atlas, the long-standing compensations return to their proper positions, allowing them to restore balance and to heal. As soon as the head returns to its neutral position over the spine, the rest of the bones respond. The shoulders and hips can come back into balance, which relieves pressure from the middle and lower back. This will often reduce or even entirely remove irritation coming from the affected sciatic nerve and resolve sciatic nerve pain altogether.